This is a model of an ACF® Industries built general-purpose, single-compartment, 23,500 gallon, insulated, coiled, non-pressurized tank car. Our model represents cars built from 1969 and still in service today. A wide variety of products can be transported in this size and type of tank car. This includes asphalt, ethanol, fuel oil, metal sodium, molten phenol, paraffin wax, tallow, urethane polyol, and vegetable oil. 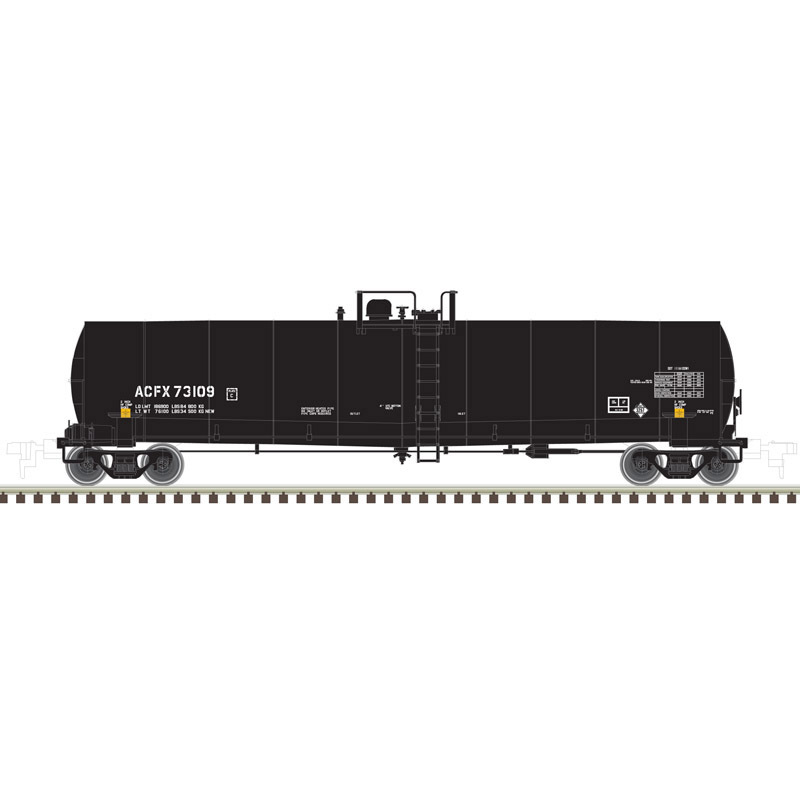 + Paint schemes accurate for similar insulated coiled type T106 tank cars.